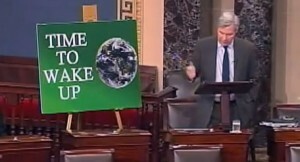 In this week’s “Time to Wake Up” speech on the Senate floor, Senator Whitehouse described how many American companies are planning for climate change. In the speech, Senator Whitehouse shares that companies with internal prices for carbon include Microsoft, Exxon-Mobil, Disney, and Google. I urge you to watch the video below – it is a note of optimism. If you want more devastating information on the big money being spent to spread the lies to deny climate change, read this article, click here.